The absence of no-fault divorce in England and Wales looks updated. People stay in loveless marriages for many reasons: anxiety about the impact of splitting up on their children; financial dependency on a spouse; fear of loneliness. Tini Owens is stuck in hers because a judge refused to give her a divorce. 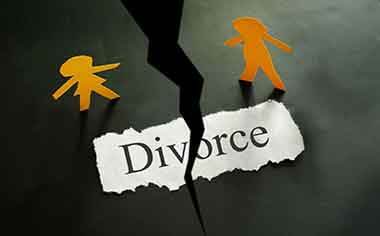 She said that her husband's treatment of her, including scolding her in front of their housekeeper and ignoring her over a meal, amounted to unreasonable behaviour, grounds for divorce. The judge, however, disagreed, saying they were “minor altercations…to be expected in a marriage”. Since her husband has refused to consent to the break-up, she must wait five years. Ms Owens has asked the Court of Appeal to overturn the ruling. Her position would be simpler if England and Wales did not insist on blame being part of divorce. As well as unreasonable behaviour, marital breakdown can be demonstrated by evidence of adultery or desertion. The alternative is at least two years' separation. But the notion of fault is often little more than a charade. Kerstin Beyer, a family lawyer, cites a case where the “unreasonable” behaviour involved the wife pursuing an “independent social life”. Insisting that somebody must be to blame makes an already difficult process harder. This week Lord Wilson, a Supreme Court judge, added his voice to those calling for “no-fault” divorce. Others in favour include Sir James Munby, president of the family division of the High Court, Lady Hale, another Supreme Court justice, most of those working in family law and organisations such as Relate, a charity that provides relationship counselling. 例句:Her parents are rumoured to be on the verge of splitting up. 例句:My social life and business life are closely tied. 例句:While you are in litigious mood, divorce her for unreasonable behaviour. 例句:In the interview he gave some grounds for optimism.